Head over to BestBuy.com and check out this great deal on Disney Blu-ray's! Right now you can purchase 2 (select) Disney Blu-ray titles for just $35 and receive a FREE Mickey Mouse tote bag! To take advantage of this limited time offer, just head over to Best Buy Online and select 2 of the titles (listed above) and then make sure to select the tote bag (at the very bottom of the offer page) and add to cart. The discount should reflect at checkout. Head over to the Nabisco Facebook page because the new Nabisco monthly coupon for $1.00 off of Nabisco Newtons is available right now. There are only 50,000 prints available so make sure to print yours while you can. Cook's or Hormel Spiral Sliced Ham - $1.27/lb. Buy 4, Get $4 Off Instantly! These are the new Target Mobile coupons that have an expiration date of April 13th. Message and Data rates apply. Valid in store only. Limit one manufacturer coupon and one Target coupon per item. 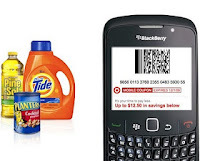 Target coupons and mobile coupon discount cannot be combined on individual items. Click here to get more information about the Target App. No Joke -- Today only you can get a FREE 8×10 Collage Print when you use coupon code 7DDCOLLG at Walgreens Photo Online! Make sure to choose in-store pick up and you will also get FREE site to store shipping! *Valid through today, April 1st, at 11:59PM CST. 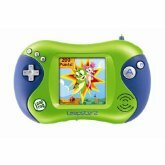 Today's Amazon Gold Box daily deal is savings of up to 50% Off LeapFrog Leapster 2 Learning System and Games. 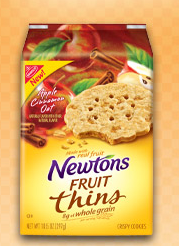 = $2 each after a Playsaver coupon or FREE if you still have your stack! *The die cast cars are regularly $3.49- so like getting 70% Off the Cars! The ad also states 50% Off other Select Cars 2 Toys- so there should be other good deals too! = $10.24 each after a .75/1 or like paying as low as 2 cents a wipe- but watch for clearance! The Unilever coupons limit you to 2 like coupons per transaction- so you’ll have to mix and match your deal. I also am hoping for other inclusions- but for now here’s one idea with what’s listed…. 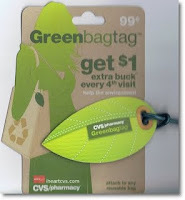 See the coupons available in the April Walgreens Coupon Book.